I can't deny it, every morning after I drag myself out of bed I check Facebook. Usually there isn't much going on and I quickly move on with my day. Today turned out to be a punch in the gut. Two identical posts were at the very top of my news feed. 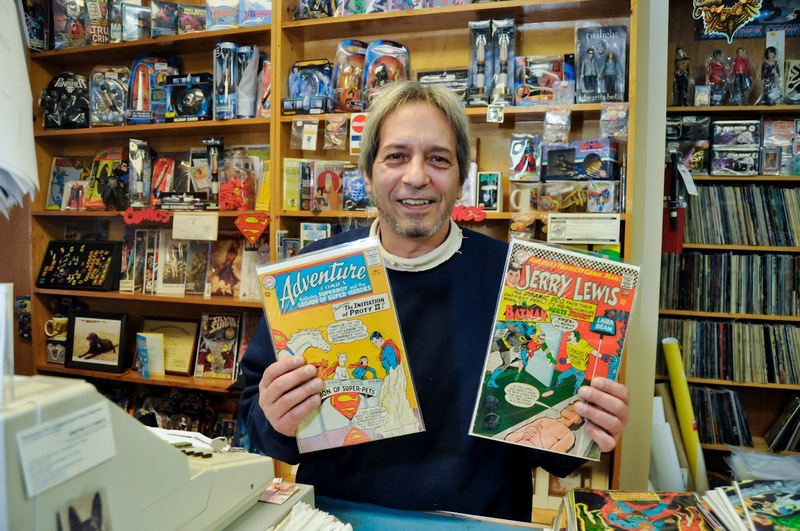 One from my friend Tony who goes by the handle "Jumping Jack" and the other was a post from Empire Comics, the comic book store that he owned and operated. To all of Anthony's family and friends. After a long battle, Anthony passed on today at 3:45 AM. Details will follow soon with calling hours and service for later this week. God Bless and Rest In Peace. My heart burst and I sat struggling to accept the reality of what I had just read. How could this be true? I had just traded messages with him 3 days ago. When I last saw him about 3 weeks ago he seemed almost like his old self again. Unfortunately, given the circumstances of his condition, I knew this post would be coming. I just never believed it would be this soon. Tony had been battling lung cancer and sadly, cancer had claimed his twin brother Jim only 5 months ago. The last we spoke his doctors had told him that while the cancer appeared to be responding to the treatment, he would never achieve remission and they couldn't give him any expectation as to how long he could expect his body to fight. As he told me the last time I saw him, "Jeremy, you just never know." I have known Tony for close to 30 years. In 1983, when I was 8 years old, I started reading comics. Every week I would take my allowance and ride my bike down to the convenience store and hit the spinner rack and come home with a bag full. Within a year I was following 3-5 books and I began to realize that I was missing issues. The spinner rack just wasn't going to cut it. That's when I discovered Empire Comics. I can remember practically begging my mother to drive me there. The first time I walked in it was like stepping into a brand new world. I couldn't believe that there was an entire store that just sold comics! It was there that I met Tony. I still remember his first words to me, "You gonna buy something, kid. This isn't a library you know!" He scared the living hell out of me. I reminded him of that a few months ago and I think we laughed for a good five minutes. For the next 9 years I made a once a month trek (sometimes twice if my mom had to go somewhere near there) to Empire Comics. I still have every one of the comics, graphic novels, posters, and other paraphernalia that I bought there. As I got older Tony and I had more and more conversations and he scared me less and less. However, like so many others around the time I graduated from high school in 1993, I pretty much stopped buying comics and my trips to Empire ceased. I moved forward with my life and I thought I had left comics behind. Enter 2004... A couple of my friends whom I was working with at the time were big into comics and when they discovered that I had been into them as a kid and wasn't reading them now they dragged me back into the fold. After spending a good 6 months reading borrowed materials, I decided that it was time to buy some new comics of my own. So, naturally, I went to familiar ground... Empire Comics. I still remember walking in the door after a decade and being hit with not just the sight of the place, but the smell. Ask any comic geek... nothing smells like a comic book store. It's like a strange mix of newsprint, plastic and nerd. It's awesome. There was Tony, almost right where I had seen him last over a decade before. We chatted and he showed me some of the stuff that was popular. I spent 3 hours there that day, chatting and reminiscing about the comic book industry of the late 80's and how things had exploded. I walked out with almost $100 in books and what I didn't realize would end up being a great friendship. After that I made the trek to Empire at least twice a month. Always buying and always ending up having a great conversation with Tony. 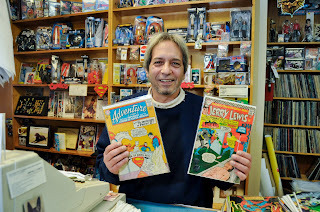 After a few months I had finally convinced him to stop calling me Mister Thompson... my reasoning, "Tony, I've been buying comics from you since I was 9... I should be calling you Mister." ...and so it went. About 4 years ago I get a friend request on Facebook from someone going by the handle "Jumping Jack"... The message that was with it read, "Hey Jer, it's Tony from Empire Comics. Always great talking to you at the shop, I figure we can keep it going here too." Tony was a good friend. 2 years ago when I got laid off from HP, he encouraged me to come down to the store and hang out. He made it clear that he was not expecting me to make any purchases, he just wanted to give me a reason to get out the house. Inevitably I would spend a couple of hours talking about anything and everything and I would end up leaving with a stack of books that he would hand to me and say, "Look, man... I know that you don't have the money to be buying comics. Take these, read them and bring them back. You know, take your mind off your troubles for a while." It's just how he was. When he found out that I was getting divorced he handed me a folded up promo poster, with the direction to decorate the kids' room with it. It turns out that it was a poster for Marvel's the Wonderful Wizard of OZ series. It was beautiful with art by Skottie Young (one of my current favorites). Whenever I brought kids in he always made sure they went home with something special. Even after he got sick and I didn't see him as often, I would always get the occasional message from him asking me how things were going. When he got really sick, Facebook was a blessing for staying in touch. As I have said before, I don't pretend to know much about religion or the after-life, or if any of it is true. All I can say for sure is that my life was richer, because Tony was in it. Thank you, Tony. Thank you for the years of fun reads. Thank you for the conversations. Thank you for helping me keep my head on straight when it was looking to spin off my neck completely. It was truly an honor to call you my friend. single of the many frequent mistakes throughout student essay writing AND academic essay writing, no matter whether you\'re tackling a weekly essay or perhaps an undergraduate dissertation, is really a habit connected with drifting away because of the question. You may write an brilliant, carefully argued top literary walking tours ALONG WITH still consider low marks regardless of whether This really is not altogether in every portion relevant on the question.